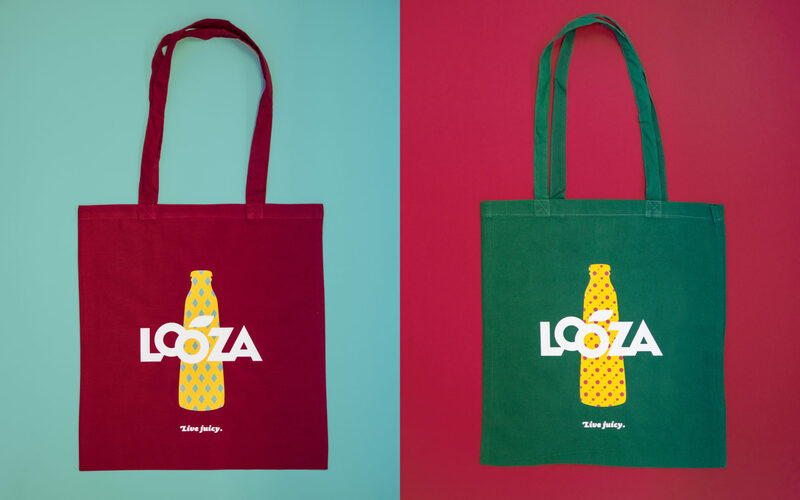 With its delicious juices, carefully blending domestic and exotic fruits, Looza has built an impressive heritage, which they deeply cherish. Naturally, they equally care for their future. 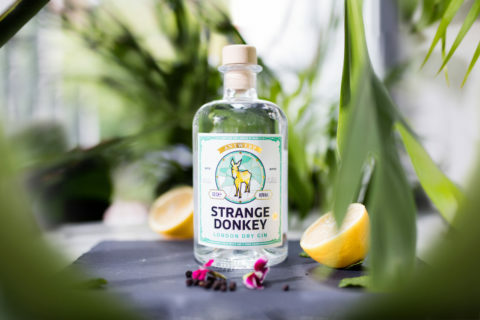 That’s where we step in: we revitalized the design, adding even more flavour and fun to the brand by developing whimsical shapes and colourful patterns, combined in numerous variations. This technique also worked perfectly for branding an all-new range of refreshing fruit drinks. Enjoy. First things first: let’s set the logo straight. 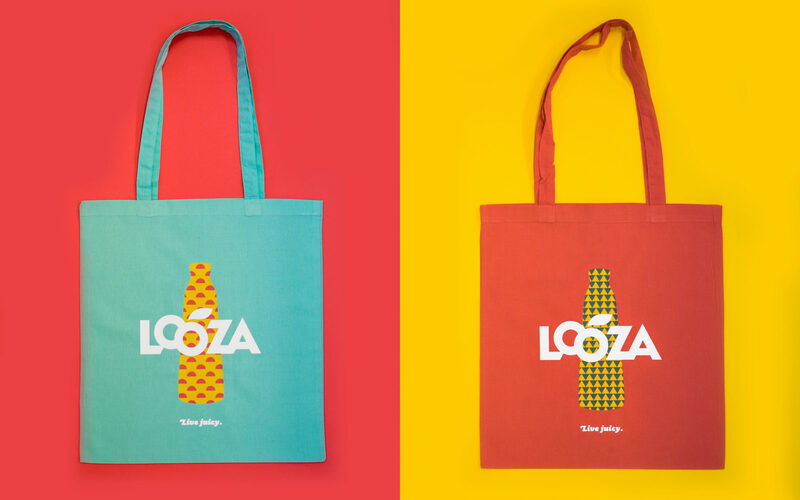 If it grows on a tree, chances are Looza has bottled it. They offer no less than 21 flavours to enjoy and we developed a particular design for every single one. 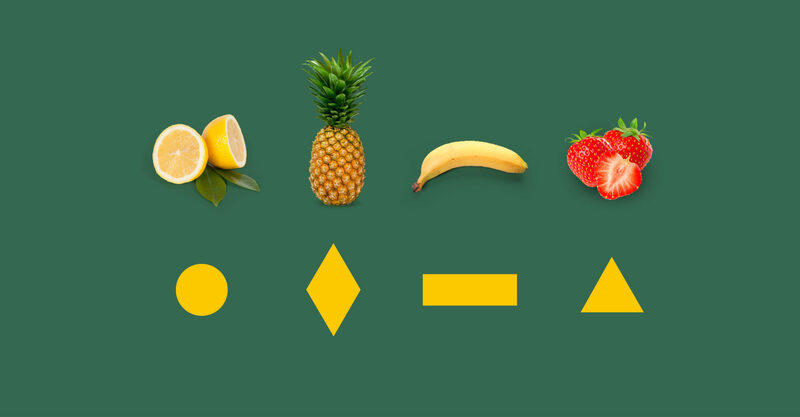 Starting point: the basic shapes of the 4 most popular fruits. 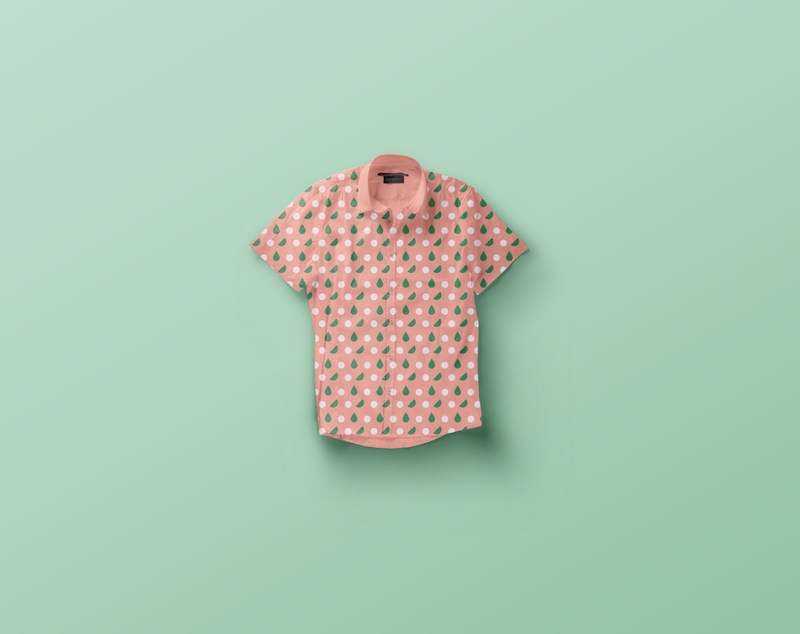 We added fresh colours, put it all in a blender and the inspiration came pouring out. Did you know the 20 cl Looza bottle is a replica of the 1 L bottle that won an esteemed packaging award in 1970? 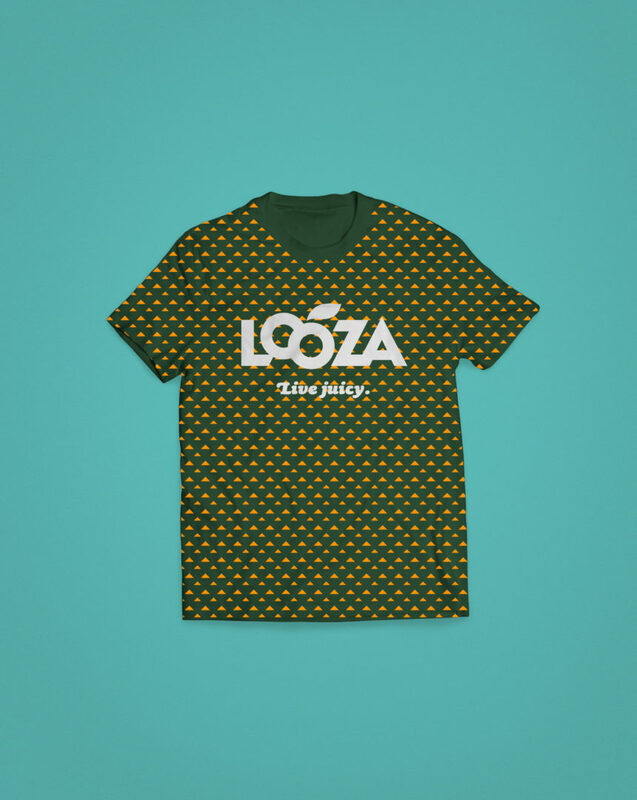 Needless to say we were not tinkering with its design; on the contrary, we have put it in the spotlights, making it clear Looza is back in great shape. What began in 1947 with freshly squeezed apple juice in picturesque Haspengouw grew into a strong brand, internationally acclaimed for taste and quality. A great heritage to treasure, but we feel Looza is also about pleasure. It’s delicious and it’s fun. A unique legacy to cherry, so to speak. 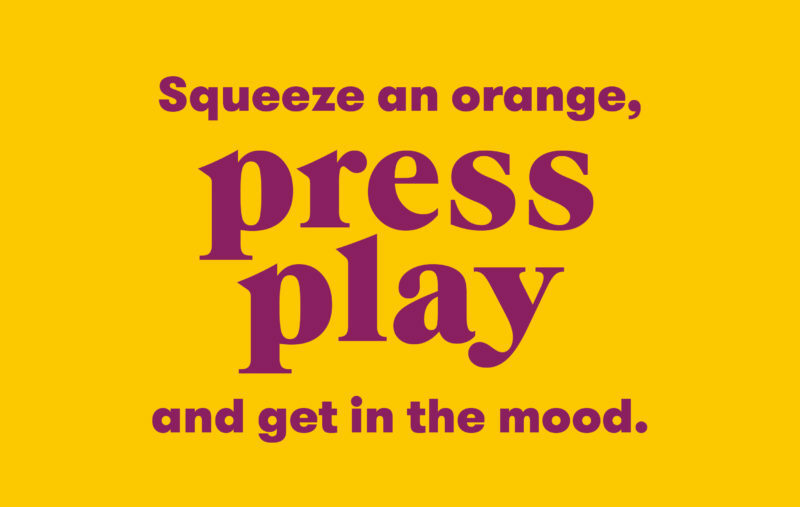 Come on, treat your senses, live juicy! 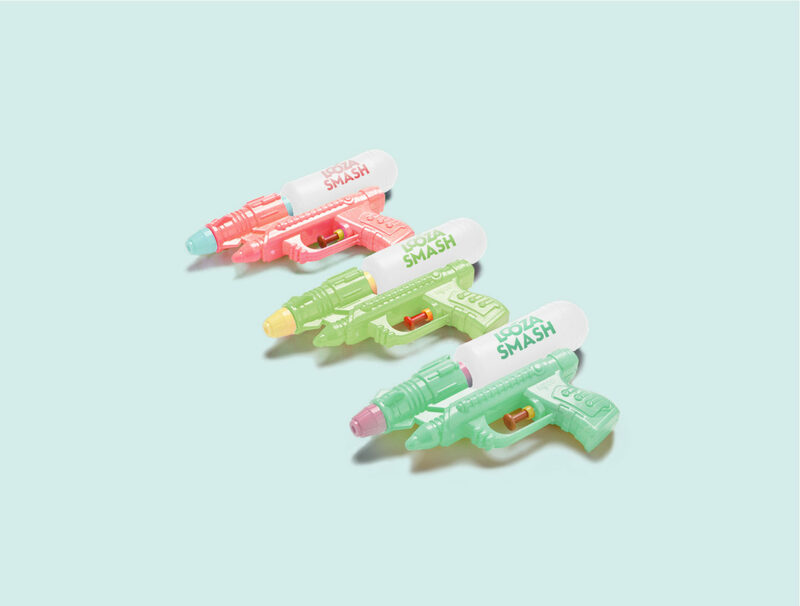 We want to tickle people’s curiosity, not only through exciting POS materials. The messaging is all about the ‘live juicy’ philosophy, encouraging our audience to flavour the everyday routine with an element of surprise. So, go ahead, grab a coaster and ask the bartender’s telephone number. 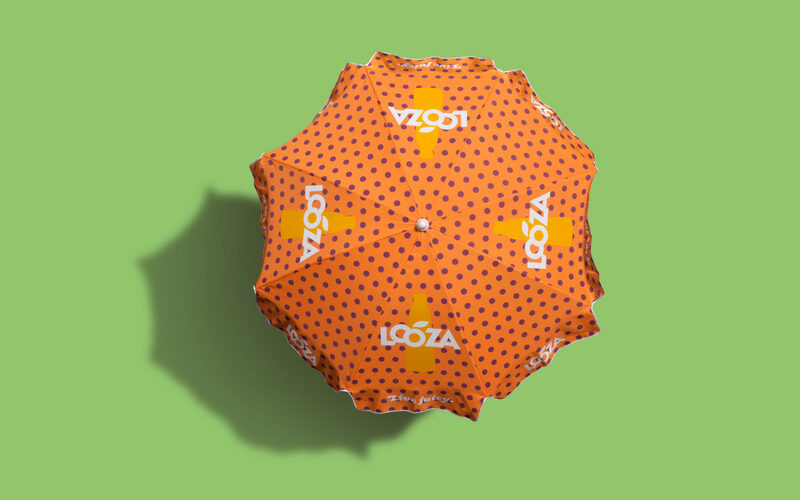 Looza Ace was first introduced in 1999 and added even more vitamins to the tasty juices. Later, more of these smart drinks followed. 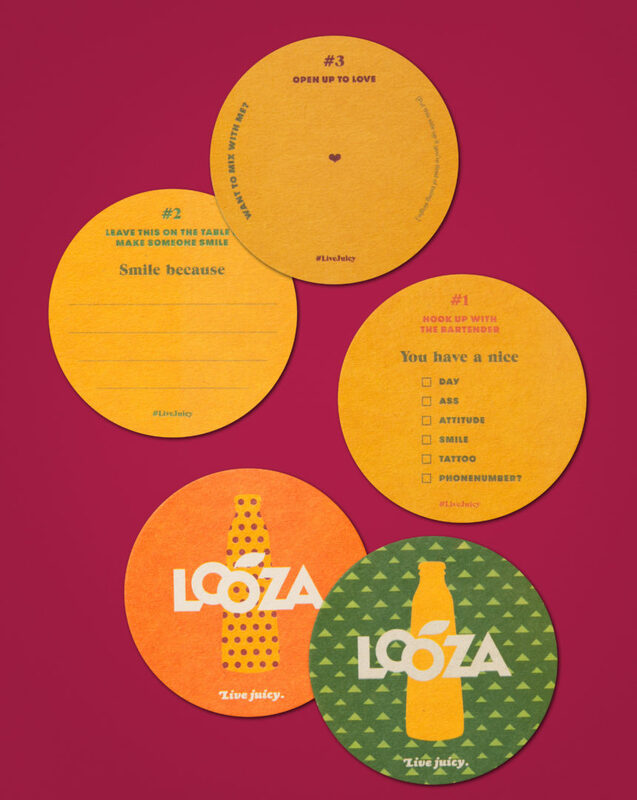 With 3 deliciously original and refreshing fruit drinks – masterfully mixing natural botanicals and cutting back on calories – Looza now enters a whole new segment. 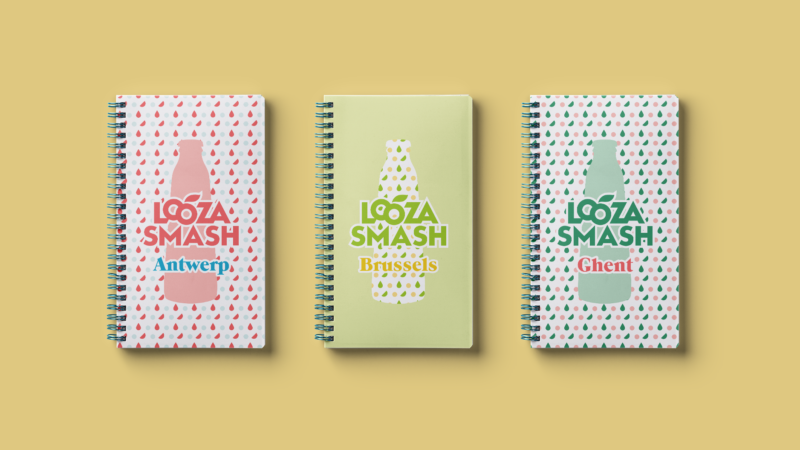 Our spick-and-span design matches Looza Smash beautifully, don’t you think? 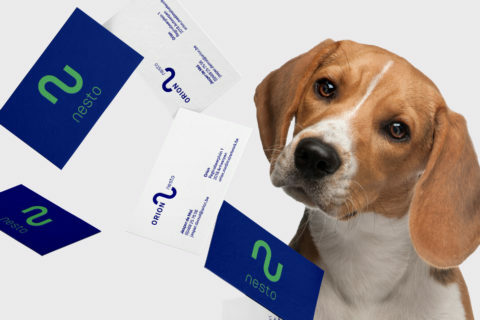 Animated design in animal care.